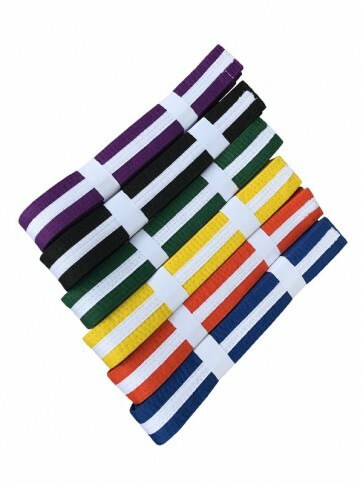 Mainly used in martial arts styles such as Karate, Judo, Ju-Jitsu and sometimes Taekwondo, they are a common addition to the traditional styles. Available in five sizes which make them suitable for young children up to the large adult Some are used as a way of splitting the Junior student and senior students. It can be a problem telling who’s who when some of the older juniors are taller than the adults. They are also useful when juniors pass the age boundary, usually 18 but sometimes 16. They have never worn the adult belt so there is no issue with them having to ‘re-earn it. In Karate mainly the higher grades sometimes have the same belt for different kyu grades, introducing colored belts with a white stripe. We accept complete custom Martial Arts Belts in a label, material, fabric weight, color, stitching, size and as well as we accept all-new design from the buyer.